Urban India is undergoing a rapid transformation, which also encompasses the educational sector. Since 1991, this important new market in private English-medium schools, along with an explosion of private coaching centres, has transformed the lives of children and their families, as the attainment of the best education nurtures the aspirations of a growing number of Indian citizens. Set in urban Kerala, the book discusses changing educational landscapes in the South Indian city of Kochi, a local hub for trade, tourism, and cosmopolitan middle-class lifestyles. 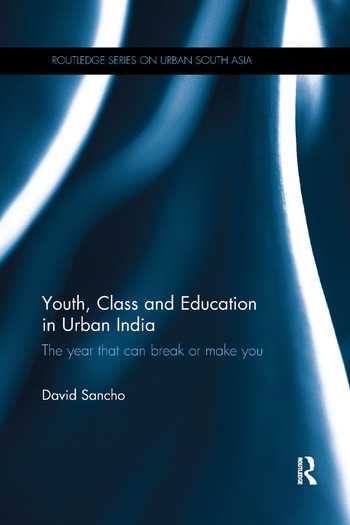 Based on extensive ethnographic fieldwork, the author examines the way education features as a major way the transformation of the city, and India in general, are experienced and envisaged by upwardly-mobile residents. Schooling is shown to play a major role in urban lifestyles, with increased privatisation representing a response to the educational strategies of a growing and heterogeneous middle class, whose educational choices reflect broader projects of class formation within the context of religious and caste diversity particular to the region. This path-breaking new study of a changing Indian middle class and new relationships with educational institutions contributes to the growing body of work on the experiences and meanings of schooling for youths, their parents, and the wider community and thereby adds a unique, anthropologically informed, perspective to South Asian studies, urban studies and the study of education. David Sancho holds a British Academy Postdoctoral Fellowship and is currently carrying out research on transnational educational trajectories with Indian-origin pupils in Dubai.